I cannot believe that picture taking season is already here!! I am excited to announce for a limited time an opportunity to get that *one* picture for your holiday card. 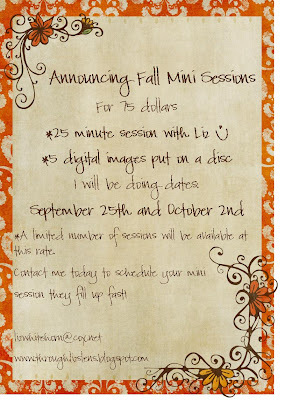 They are called mini sessions and if you are looking for more there is always that option for you too. Either way, I am now booking for fall sessions, email to reserve a spot. They are quick and casual 25 minute sessions designed to get some great shots of your immediate family (up to 6 people). The perfect way to get an updated family portrait, capture a special phase in your child's life, head shots or just because! 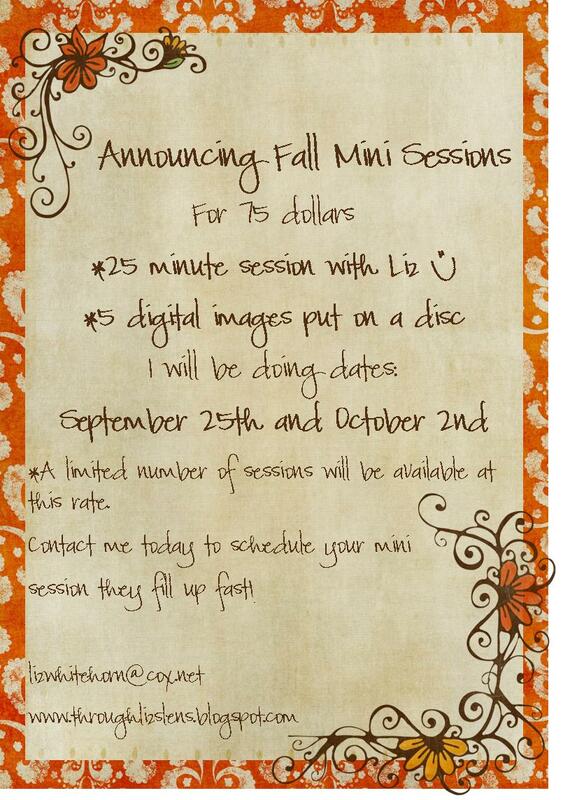 These 25 minute mini sessions will result in 5 edited images put on a disc for you to keep. Several back-to-back sessions will be booked on this day, so it is important that you are on time for your appointment. These sessions are for up to six people. The mini session packages/prices are only available on the date mentioned. *Looking for a regular session? I am now booking for fall sessions, only a handful of spots are available. Book now to reserve a spot.